North Korean state media has confirmed that leader Kim Jong-un will travel to Russia “soon” for his first ever meeting with Vladimir Putin. According to the Kremlin, the meeting will take place “in the second half of April”. Speculation is growing that the two leaders will meet in Russia’s eastern port of Vladivostok, just hours from their shared border, later this week. The last North Korea-Russia bilateral meeting was in 2011, when then President Dmitry Medvedev met Kim Jong-il. After the failure of the Hanoi talks between the US and North Korea, a meeting with Kim is a good opportunity for Putin to put Moscow back on the playing field. Moscow sees denuclearization as an unrealistic goal, so the Kremlin instead wants talks with Pyongyang aimed at stabilizing the situation. We live in the age of charismatic elected would-be despots. Most surprisingly, such leaders have been emerging in well-established democracies. But these democracies are eroding: Freedom in the World 2019 reported a 13th consecutive year of decline in the global health of democracy. When faith in sober policymaking disappears, the charismatic figure emerges as the oldest kind of leader of all: the tribal chieftain. When things become this elementary, the difference between developing and so-called advanced democracies can well melt away. Why was Trump elected? One reason is the fear and anger caused by the financial crisis and cultural changes. Another reason is the willingness of parts of the elite to exploit such emotions, to achieve huge tax cuts and eliminate regulation. This approach may be called “pluto-populism”. De-institutionalised rule by elected strongmen might be even worse than institutionalised rule by an appointed leader, such as China’s Xi Jinping. The politics of fear and rage bend towards tyranny. “[The belt and road] is proof that China is no longer considering itself a net receiver and starts considering itself a contributor to the world, and this is something Spain welcomes,” said Josep Borrell, Spain’s foreign minister, who will attend the Belt and Road Forum that begins in Beijing tomorrow. Spain has not officially joined the programme, but it has worked with China on some belt and road projects. For example, Chinese state-owned shipping company Cosco now holds a majority stake in Noatum Port Holdings, the Spanish firm operating ports in Valencia and Bilbao, while a direct freight train link has been launched between the Chinese city of Yiwu and Madrid. “Spain considers [the belt and road] still has positive potential to show, as long as some principles that in the EU we consider essential are taken into account: financial, labour and environmental sustainability of the projects, comprehensiveness of connectivity, respectful of international law, level playing field for all the parties involved,” said Borrell. Playing down a policy paper from the European Commission in March that labelled China as a “systemic rival”, Borrell said people should not overreact to it. “The EU has always addressed China on the basis that good friends are able to talk frankly about their disagreements and reach compromises at the negotiation table,” he said. As the Easter Sunday bombings in Sri Lanka demonstrate, ISIS is achieving a menacing afterlife around the world—thanks perhaps in part to the return of its members to their homelands. The Sri Lanka attacks were the group’s deadliest outside the borders of Iraq and Syria. Terrorism analysts argue it is highly unlikely that a relatively unknown group would have been able to carry out a coordinated attack using a large amount of reliable explosives hitting multiple targets without some kind of assistance from a foreign group. Sri Lankan officials have said the attack may have been carried out as an act of retaliation for last month’s slaughter at two mosques in New Zealand, although ISIS has made no reference to a motive of retaliation. Sunday’s attack in Sri Lanka was not the only one carried out in the name of ISIS that day. In Saudi Arabia, a group of fighters loyal to the group attacked a domestic intelligence office. A day earlier, a suicide attack in Kabul claimed by ISIS left seven people dead. And last week, ISIS claimed responsibility for its first attack in the Democratic Republic of the Congo, which left eight people dead. Japanese Prime Minister Shinzo Abe hopes to use the new Reiwa imperial era, which will begin on May 1 when Crown Prince Naruhito ascends to the imperial throne, to inject new dynamism into Japan. The success or failure of his efforts will affect the whole world. For Abe, the issues of international resilience and domestic revival are intimately connected. To address Japan’s shrinking population, the Abe government has encouraged immigration. But even the modest measures taken have proved controversial in a country that treasures its cultural homogeneity. Abe is preparing Japan for any future struggle with China. His government has reinterpreted the country’s constitution to allow Japan’s military to fight alongside the US, should US forces be attacked. Defense spending is also rising. And Japan is doing its utmost to cultivate relations with India. Although Abe’s political roots are in Japanese nationalism, he is intelligent enough to understand that in modern Japan a nationalist needs to be an internationalist, building alliances and international links that will allow Japan to thrive, even as China rises. The 2019 European Parliament election will be radically different from the tales in the headlines: it will not be a referendum on migration. The big divide is not ‘open Europe’ versus ‘closed nation states’ but between status quo and change. There is no single issue on voters’ minds; indeed, many are more worried about emigration than immigration. And many are more concerned about: Islamic radicalism (87m, 22 percent of the EU voting population); the rise of nationalism (45m, 11 percent); and the economy (63m, 16 percent). Just under 59m highlight migration as one of the top threats to Europe: only 15 percent of the EU voting population. Climate change creates winners and losers. Norway is among the winners; Nigeria among the losers. Those are the stark findings of a paper by two Stanford University professors who have tried to quantify the impact of rising greenhouse gas emissions on global inequality. Inequality among nations, which has come down a lot in recent decades, would have declined far faster had climate change not been in the mix. The study estimates that the gap in per capita income in the richest and poorest countries is 25 percentage points larger than it would have been without climate change. Between 1961 and 2000, climate change dampened per capita incomes in the world’s poorest countries by between 17 percent and 30 percent. Among the countries hardest hit were also some of the largest. India, for instance, would have been 30 percent richer without climate change. Countries in temperate zones, including China and the US, did not feel much of an effect, the study said. One of the most celebrated diplomats of his generation, Richard Holbrooke helped normalize US relations with China; served as US ambassador to a newly reunified Germany and then to the United Nations; and, most famously, negotiated the 1995 Dayton peace agreement that ended the war in Bosnia. But he began and ended his career struggling with how to resolve two American wars: first in Vietnam, then in Afghanistan. Ukrainians on Sunday overwhelmingly voted to make Volodymyr Zelensky, a famous comedian, their next president. According to exit polls, Zelensky won a staggering 73 percent of the vote, and incumbent Petro Poroshenko conceded the race. Zelensky – who has no prior political experience – struck a populist, anti-corruption message during the campaign that resonated with millions of Ukrainians suffering from poverty and government graft. Ukraine is still among Europe’s poorest countries, if not the poorest. “Poroshenko either misread the voters or thought his campaign themes — army, language, and faith — would carry the day,” said Steven Pifer of Brookings. Undue oligarch influence was a key campaign issue: the question now is if Zelensky can follow through on his promises to stamp it out. Not much is known about Zelensky’s foreign policy except that he is mainly pro-Western, wants Ukraine to enter the EU, and would seek NATO membership for his country — all positions that didn’t separate him much from Poroshenko. About one year after the US decided to leave the Iran nuclear deal, the State Department is set to announce that all countries will have to completely end their imports of Iranian oil or be subject to US sanctions. According to two US officials, US Secretary of State Mike Pompeo will announce today that, as of May 2, the State Department will no longer grant sanctions waivers to any country that is currently importing Iranian crude or condensate. The officials said market disruption should be minimal for two reasons: supply is now greater than demand and Pompeo is also set to announce offsets through commitments from other suppliers such as Saudi Arabia and the United Arab Emirates. Three of the eight countries that received US waivers last November have already reduced their Iranian oil imports to zero: Greece, Italy and Taiwan. The other countries that will now have to cut off Iranian oil imports or be subject to US sanctions are China, India, Turkey, Japan and South Korea. American economy is failing its citizens. Some 90 percent of Americans have seen their incomes stagnate or decline in the past 30 years. America created the first truly middle-class society; now, a middle-class life is increasingly out of reach for its citizens. The US is now in a vicious cycle: greater economic inequality is leading, in a money-driven political system, to more political inequality, with weaker rules and deregulation causing still more economic inequality. But there is an alternative: progressive capitalism. This notion is based on a new social contract between voters and elected officials, between workers and corporations, between rich and poor, and between those with jobs and those who are un- or underemployed. The promotion of progressive capitalism begins by recognizing the vital role that the state plays in making markets serve society. We must be as resolute in combating market power as the corporate sector is in increasing it. The real and long-lasting danger of the Trump presidency is its attack on the two pillars of our economy and society: on the one hand, the idea of knowledge and expertise; on the other, the institutions that help us discover and assess the truth. “When you go out on your own, like an antelope leaving the pack, you become much more vulnerable to predators . . . It is a terrifying moment to bet the house on a clever solution,” said Peter Frankopan about Brexit. “In Europe, we’re in trouble in the long term because we are divided societies without a lot of natural resources,” added Frankopan. 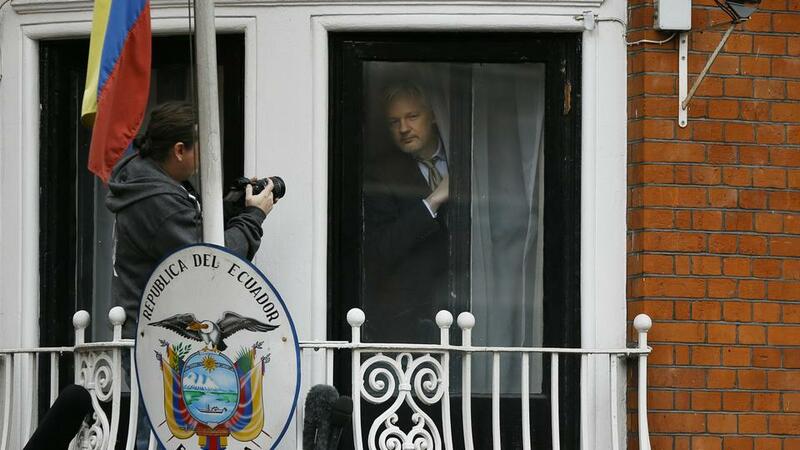 Washington Post – Kevin Sieff, Arelis R. Hernández & Gabriela Martínez / In Ecuador, Assange’s expulsion reflects desire for better relations with the U.S. The decision to grant refuge to Julian Assange in 2012 was made by former Ecuadorian President Rafael Correa, a leftist whose relationship with the US had grown increasingly contentious. Yesterday, the gambit collapsed with Assange’s expulsion under Correa’s more moderate successor, Lenín Moreno. For a while, an oil boom helped buoy Ecuador’s economy. But the price of oil fell, and by the time Moreno was elected president in 2017, he was forced to reckon not only with the geopolitical legacy of his predecessor but also with an economic recession. The world economy needs a plan for “peaceful coexistence” between the US and China. Both sides need to accept the other’s right to develop on its own terms. International economic integration – today’s “hyper-globalism” – should yield priority to domestic economic and social objectives in both countries, and in others. The objection that such an approach would open the floodgates of protectionism is based on a misunderstanding of what drives open trade policies. World trade expanded, relative to global output, at a more rapid clip in the 3½ decades after the Second World War than it has under the post-1990 hyper-globalist regime. Similarly, one could argue that, thanks to its unorthodox growth policies, China today is a larger market for foreign exporters and investors than if it had stuck to WTO-compliant policies. China’s entry into the WTO was predicated on the idea that it had become a Western-style market economy, or would become one soon. Yet there is no good reason to expect that it will or should. A global trade regime that cannot accommodate the world’s largest trading economy – China – is a regime in urgent need of repair. A week ago, General Khalifa Haftar, the warlord who controls much of Libya, launched an offensive to seize the country’s capital, Tripoli. But Haftar’s move is starting to look like a big miscalculation. A UN-sponsored peace conference was cancelled due to Haftar’s attack, though the general would have entered the conference in an enviable position, holding most of Libya’s land and oil wells. Instead, his self-styled Libyan National Army (LNA) is now bogged down on several fronts. The general risks losing not only the battle for Tripoli but many of his other gains as well. Haftar’s offensive is embarrassing his numerous foreign allies. Egypt and the United Arab Emirates have provided air support. France has special forces deployed in the east. Russia has sold him weapons. An LNA retreat seems unlikely. It would be out of character, and humiliating, for General Haftar. But a long battle could spell final ruin for Libya and reduce global supplies already squeezed by sanctions on Iran and turmoil in Venezuela. US President Donald Trump has said he is considering a potential third nuclear summit with North Korea’s leader Kim Jong-un. Trumps’s announcement came as North Korea replaced its long-serving nominal head of state, Kim Yong Nam, with a close aide to leader Kim Jong-un who was placed on a US sanctions list last year for alleged human rights abuses. 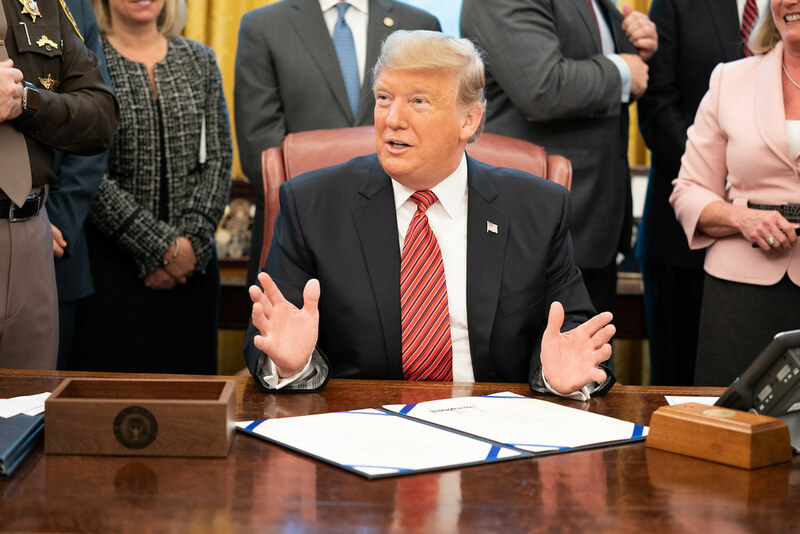 Although the broader sanctions should “remain in place,” Trump said he opposes any further tightening and noted that he had stopped planned new measures. Shortly after the latest Trump-Kim summit, a series of satellite images emerged suggesting increased activity at the North’s Sohae rocket site, triggering international alarm that the nuclear-armed state might be preparing a long-range or space launch. Israel’s latest parliamentary election has consolidated the country’s position within a growing bloc of illiberal democracies around the world. Once again, Benjamin Netanyahu has won by mobilizing the people against the very state institutions that he is supposed to uphold and defend. Israel’s Arab citizens – many of whom abstained yesterday – apparently are through lending credibility to a sham democracy. Meanwhile, the Israeli left has been exposed as a bankrupt political project. On the Arab question, liberal Zionists have acceded to Netanyahu’s project of making Israel into a one-race, one-party state. Instead of using Israel’s diplomatic relationships to work toward an acceptable solution to its primary existential challenge, Netanyahu has exploited them for his own chauvinist agenda. Here, too, Netanyahu’s opponents failed to challenge him. The election leaves no doubt about what awaits Israel in the coming years. A cabal of Netanyahu cronies and family members, racist messianic settlers, and Orthodox parties with opportunistic designs on the state budget will drag Israel toward a new single-state reality that will resemble apartheid South Africa. Sudanese government officials have confirmed that President Omar al-Bashir is stepping down from his post after 30 years of ruling over the African country, reports said early Thursday morning. Sudan’s state TV says the country’s armed forces will deliver an “important statement” and are asking the nation to “wait for it.” Sudanese radio is playing military marches ahead of the announcement. The announcement raised expectations the statement Thursday could address nearly four months of anti-government protests demanding that Bashir step down. Thousands of Sudanese protesters clashed with security forces outside President Bashir’s residence in central Khartoum on Saturday in what appeared to be the biggest demonstration in months of protests against his 30-year rule, witnesses said. With less than 48 hours before Britain’s departure, the European Union extended the exit deadline until the end of October, in order to avoid a devastating cliff-edge divorce but settling none of the issues that have plunged British politics into chaos, dysfunction and recrimination. It was a difficult night for Theresa May, since European leaders didn’t accept her proposal for an extension until June 30, on the basis that the short deadline was an unrealistic goal. Both sides agreed on a “flexible extension” until October 31st, on the basis that it would provide an “additional six months for the U.K. to find the best possible solution.” Moreover, Mr. Tusk did not rule out another extension. Mr. Juncker dismissed worries that Britain would be interfering on the work of the bloc, saying that Britain’s being a “difficult partner was nothing new”. President Macron stated that the October date was “the best compromise” in order to maintain the unity of the European Union, and he added that it was “up to Britons to be clear with themselves and their people”. Mr. May’s plan has been rejected three times in Parliament and, despite attempts to broker an accord with the opposition Labour Party, prospects for its passage still look low. India’s elections will take place in seven phases between April 11 and May 19, and the results will be announced on May 23. Voters will choose representatives to 543 seats in Parliament, and the party with 272 or more seats will select the prime minister. If no one party wins the necessary amount of seats, parties can nonetheless form a coalition government. These elections are the largest democratic ones in the world since India has 900 million eligible voters. The size of the electorate has swelled by more than 80 million in comparison to 2014, where 550 million people cast votes. Only six of the 450 political parties are national parties that have a base of supporters across different states. This election will be vital to the future of India, which will soon become the world’s most populous nation. India is attempting to catch up with China economically, which will require massive investment in infrastructure and significant policy change. While Narendra Modi came to power with promises of development, there has been an increasing number of jobless youth. Mr. Modi is the favorite to win, since he is the incumbent leader. His principal opponent is Rahul Gandhi, who leads the Indian National Congress, and must convince the voters to give him a try after corruption scandals that plagued the last Congress government.Until recently, it appeared that employment and rural distress would be some of the main themes of the election. In January, a leaked official report showed that India’s unemployment rate had increased under the Modi government to a 45-year high. Kirstjen Nielsen’s forced resignation as US Secretary of Homeland Security should not be celebrated. Although she developed the forced separation of families at the American border, her departure will not bring any improvement, since Mr. Trump wants to replace her with someone whose anti-immigration policies are even more ruthlessly. In spite of Trump’s immigration policies, it may not be the worst feature of his administration, due to a wink support of white supremacists or the withdrawal from the Paris Agreement, Iran nuclear deal or IMF. The attack by Trump and his administration on every one of the pillars of American society jeopardizes its continued prosperity and very ability to function as a democracy. Nor do there appear to be checks on corporate giants’ efforts to capture the institutions – the courts, legislatures, regulatory agencies, and major media outlets – that are supposed to prevent them from exploiting workers and consumers. Benjamin Netanyahu, Israel’s conservative prime minister for the past decade, appeared to have won a fourth consecutive term as Prime Minister, according to preliminary results early on Wednesday. In spite of this, both Mr. Netanyahu and his centrist rival, Benny Gantz, have declared victory, since it seems that both have won the same number of seats in Parliament. But a count of the broader blocs needed to form a coalition government seems to give Mr. Netanyahu’s Likud party ab advantage. Mr. Netanyahu now seems to surpass the nation’s founding leader, David Ben Gurion as Israel’s longest-serving prime minister. Moreover, a victory would provide current prime minister with a renewed mandate as looming indictment on charges of bribery and corruption. Mr. Netanyahu is a dominant global player who has strengthened Israeli’s economy, and he is widely credited with having kept the country secure, mainly due to support of American president Mr. Trump. More than a million Israelis appeared to have voted for Mr. Gantz’s Blue and White party, which places it in the position of being the main alternative to Israel’s right wing, which was a place once held by the Labor Party, political party founder of the country. President Reuven Rivlin is expected in the next few days to choose the party leader he believes has the best chance of assembling a parliamentary majority. If China becomes a high-income country ruled by a communist party, it would transform a world in which all large, high-income countries are democratic and, moreover, it would reshape the global balance of power, economically and militarily as well as politically and ideologically. This is, indeed, the main goal of President Xi Jinping. If this situation occurs, China would be rich, but the political system would stay the same. Sustained growth of real GDP per head at 4% would bring China into the middle of the high-income group, and its economy would surpass US and EU combined. On the other hand, social changes might reduce the legitimacy of the party-state, especially if a slowdown is produced, and, in the long-run, the party would find impossible to contain the corruption of the system. It may also be difficult to sustain the legitimacy of an organization rooted in outmoded Marxism. It is impossible to know how this will end. The Chinese alone would decide. Will China turn into a huge Singapore, with high-income levels of prosperity and government effectiveness with one-party rule? Will Mr. Xi go into history as the man that brought China into the top of the world or a Chinese version of Mr. Brezhnev, whose conservatism brought the Soviet system into disrepair? Theresa May’s request for a short Brexit delay has been torn up, putting the EU on track to instead extend Britain’s membership until 2020. Despite the prime minister’s dash to Paris and Berlin to convince leaders of her plan to break the Brexit impasse, Donald Tusk, showed EU politicians’ lack of faith in her cross-party talks. A cabinet source voiced doubts over whether May could survive after presiding over such a long delay to Brexit, after previously having said she could not “as prime minister” accept a longer delay than 30 June. Moreover, Mrs. May faces a bitter backlash within her party due to a long delay of Brexit and the participation in the EU elections. The scale of anger among Conservative MPs about May’s talks with Jeremy Corbyn is such that ministers are now speculating about whether she would even command the support of enough her own MPs to have a chance of getting any soft Brexit deal through parliament. Member states such as Slovenia, Austria or Spain had all voiced concerns about a lengthy extension during the meeting on Tuesday, and they have mentioned the risks to the EU of Britain behaving badly during the extra period of membership. The US president’s designation of Iranian Revolutionary Guard Corps as a terrorist organization is an unprecedented move, whether as a policy or a provocation. It is designed to add more pressure on the Islamic Republic, already extremely demonized in Mr. Trump’s narrative. The IRGC was established after the 1979 revolution and has always been the theocracy’s guard at home as well as the Islamic Republic army abroad, above legendary Quds Force. Paradoxically, the force has often fought alongside or in parallel to the United States, in places such as Afghanistan against the Taliban, Bosnia against the Serbs or in Iraq against ISIS. According to Trita Parsi, an Iranian-American critic of US policy, “the unprecedented decision to designate IRGC as a terrorist organisation will not put any significant additional pressures on Iran [..] This move closes yet another potential door for peacefully resolving tensions with Iran. Once all doors are closed, and diplomacy is rendered impossible, war will essentially become inevitable”. Italian far right-leader Matteo Salvini declared on Monday that he aims to establish the biggest group in the European Parliament, joining forces with Euroskeptics outside of his political family. He presented his plans alongside Members of the European Parliament that belonged to Alternative for Germany, Danish People’s Party and Finland’s True Finns. Mr. Salvini declared that those assembled will work with League’s traditional allies such as Marine Le Pen’s National Rally, although the party was notably absent from the event. Common issues are border control as well as “the fight against terrorism and against extremism”. In spite of parties’ differences, he would seek to woo those beyond the Europe of Nations and Freedom group, in order to alter the “nightmare” of communitarian policy priorities. The True Finns declared that “we have different geopolitical interests”, but also added that these political parties would “unite on “border protection, culture and the fight against Euro-federalism.” Anders Vistisen, from the Danish People’s Party stated that other parties that share their values are invited “to have a chat with us”. Whereas Menachem Begin, the founder of Benjamin Netanyahu’s Likud party, emphasized both nationalism and liberalism, the current Israeli Prime Minister has forgotten about the latter. Over the years, Netanyahu’s messaging has ditched the positivity and focused on fear. Ahead of this week’s elections, Netanyahu has been as convinced as ever that his victory is the only legitimate outcome. Supporters, and even some critics, insist that Netanyahu’s rhetoric is opportunistic, that he is not so much a nationalist as an instrumentalist. “The pressures of recent years, the investigations against him, and the legal challenge have pushed him to use the most dirtytricks which he has borrowed from the populists and the xenophobes,” said Oxford lecturer Yael Tamir. There is no room in today’s Likud for the party’s old guard or for others who believe in a form of liberal nationalism. Many former party members are planning to vote today for the former general Benny Gantz, portrayed by Netanyahu as a “weak leftist”. The Spanish Ambassador to China, Rafael Dezcállar de Mazarredo, said that while Madrid was deepening cooperation with China on its Belt and Road Initiative, it was not the answer to Spain’s most pressing concern – addressing the trade imbalance. The Spanish Ambassador’s call came ahead of a key summit between Chinese and European Union leaders in Brussels today. Dezcállar added that Madrid hoped the new foreign investment law Beijing passed in March would help to improve market access for Spanish firms in China, particularly in finance, insurance, engineering and legal services. Some 600 Spanish companies have a presence in China.